I wanted to do a quick post on LSAT logical reasoning ‘Must Be True’ questions, because people struggle A LOT with these problems. In fact, if there is common issue linking most people who aren’t happy with their scores on LSAT practice tests, it’s that they don’t have a sufficient grasp of this question type. Must Be True questions are absolutely critical. They test the basic skills that you need to do almost every other kind of logical reasoning question. 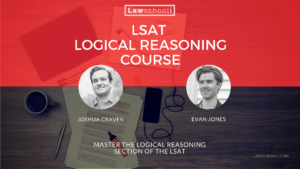 Without understanding when something is logically ‘proved’ (true) given certain premises, you can’t hope to do very well on LSAT logical reasoning (50% of your total LSAT score). YOU HAVE TO GET THIS DOWN EVEN IF IT MEANS TAPING YOUR EYELIDS OPEN AND HAMMERING IT INTO YOUR BRAIN FOR A MONTH!!! So how do you make sure you have mastered Must Be True questions? Perhaps the basic problem that a lot of low scorers have is that they don’t understand the difference between saying something is ‘true’ or ‘valid’ in logic vs. something is ‘true’ in real life. If you think you understand this distinction, skip over to the next section. 1. President Obama is capable of high-speed flight without any mechanical assistance. Only birds are capable are capable of high-speed flight without any mechanical assistance. Which of the following can be properly inferred from the passage? Yep, (A) can be properly inferred from the passage and would be a correct answer. It ‘Must Be True’. Now, I know this is an easy example, but my intent is to demonstrate that LSAT Must Be True Questions require that you throw regular truth out the window. Instead, for Must Be True questions, you assume the truth of the statements in the stimulus. These are your premises. The correct answer in a ‘must be true’ question will be something that, logically, has to be true as well if these premises are taken as true. 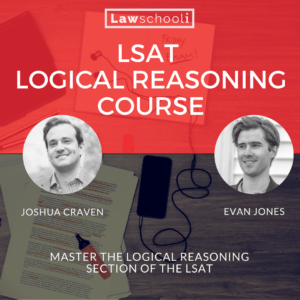 When questions get harder, LSAT beginners tend to lose sight of the form of the argument and fall back on common sense reasoning. Unfortunately, this doesn’t help you select the correct response on an LSAT “Must Be True” problem. In fact, the LSAT usually offers tempting incorrect answers that appeal to your preconceived notions to try to lead you astray. Premise 1: If something can fly high-speed without mechanical assistance (A), then it is a bird (B). Conclusion: Therefore Obama (C) is a bird (B). Every logical argument can be abstracted into diagram form. Once you have your premises diagrammed, it’s easy to apply rules of inference to draw logically valid conclusions from them. Everyone should learn these rules of inference cold in order to master Must Be True questions. Now, you can get plenty of Must Be True questions right without learning logical rules. If I tell you to assume that whenever there is lightning, there is thunder, and then further tell you that I just saw lightning, you now know there is going to be thunder, right? Hopefully you said yes. We do use these logical inferences in our everyday communication and we all have some grasp of them. 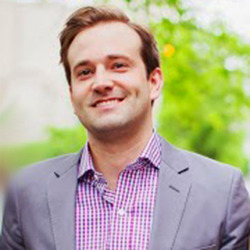 However, when it comes to the LSAT, a basic grasp is often not enough. The LSAT will throw a lot of complex premises at you all at once in confusing language. To dispatch of problems quickly and confidently, it makes a world of difference if you are absolutely sure that something is logically valid because you know the rules underlying it. Luckily, we have a free lesson on some basic rules of conditional logic. If you are on uneven footing with “must be true” questions, review that, frequently if necessary, until you are confident that you understand the logical rules tested on the LSAT. Most A are B. Most A are C.
Most teenagers are prone to fits of aggression. However, more than half of all teenagers prefers peaceful interaction with their peers. Can you spot the inference that at least some teenagers prone to fits of aggression prefer peaceful interaction with their peers? If so, good work. It’s not always easy. Does the potential difficulty mean you should try to write these problems out in abstract form to solve them? No. In many cases that would take too much time and you’ll be able to see the correct answer with out having to diagram it out. However, it is very useful to know how to diagram in case you get stuck. Mastering Must Be True questions should be the first thing you do when you start learning logical reasoning. Here’s how to do it: Read the section on Must Be True questions AND the section on conditional logic in whatever prep book you have chosen (All good LSAT prep books should cover these topics. We recommend the Logical Reasoning Bible from Powerscore). Do all the drills and problems accompanying the instruction. After that, spend at least a couple study sessions (3 or more hours each) going through older LSAT preptests looking for Must Be True questions (read the question stem to find them. Must be true questions will have stems such as “which one of the following can be properly inferred from the passage?”, “if the information above is true, which one of the following conclusions can be properly drawn on the basis of it?”, “the statements above, if true, most strongly support which of the following?”, etc. DO THESE UNTIMED. Think hard about each one of them. Draw diagrams for each of them per the instructions in the LR Bible or per our lesson, whether you need the diagram to solve it or not. Make sure you understand the rules of inference that are at operation in each and every one of them. Doing this should form a good foundation from which to learn the other types of logical reasoning questions and continue improving your logic skills. Just a final thought on mastering Must Be True Questions and improving your logical reasoning abilities: If you are still in undergrad, enroll in a basic logic course (typically offered through the philosophy department). They will beat these concepts to death, which can really give you a head start if you decide to start preparing for the LSAT. However, feel free to throw out whatever method of representing arguments you learn in your logic class. LSAT prep companies have devised simplified diagramming methods that will work much faster for attacking LSAT problems. Next Article Where Should I Apply To Law School? I just wanted to say thank you for this lesson. I am 54 years old, and I will be taking my LSAT soon. Even at this age, I am always looking for a hero. Today you fit the bill. Thank you for your valuable time, and encouragement. Thank you for your kind message Candy! Feedback like yours motivates me to continue to push myself to work harder & harder every day. I changed it to what I meant to say. Thanks for the spot. I think I was copying and pasting too quickly.